The Mobility Committee may review land use as it concerns mobility, all transportation modes including roads, aviation, public transit, pedestrian programs, bicycle programs, ground transportation, taxicab regulation, Lone Star Rail, core transit corridors, and related matters. Meetings will take place at 1:00 p.m. unless designated otherwise. View the Mobility Committee's meeting documents. 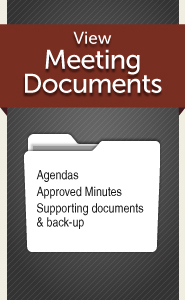 View the Comprehensive Planning and Transportation Committee's meeting documents from previous years.